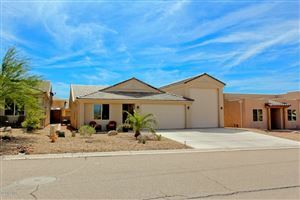 View all ACTIVE listings located in Canterbury Estates Havasu! Canterbury Estates is located in a gated community on the north side of Lake Havasu City. On the lakeside of Highway 95, the community is near the Shops at Lake Havasu and Lake Havasu City Airport. Lake Havasu City is home to the historic London Bridge and was established in 1963 by Robert P. McCulloch. Located in Mohave County, the population of Lake Havasu is 52,527. Canterbury Estates homes for sale include a variety of sizes and styles, beautifully landscaped lawns and underground utilities. The homes include features such as maple cabinets, breakfast bars and separate dining areas. 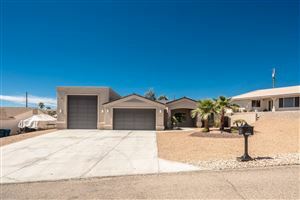 Three car garages are available as well as gated RV parking and a desert landscape view. The homes offer a serene setting and many have pools and fireplaces, vaulted ceilings, surround sound and garden tubs. The homes may include wrought iron fencing and many are located on cul-de-sacs. The community has a security gate at the entrance and is considered an excellent choice for families with children. Residents of Canterbury Estates real estate are served by the Lake Havasu Unified School District. The city has six elementary schools, one middle school, one high school, charter and private schools. Mohave Community College is located in Lake Havasu City and is part of Arizona Community College. The London Bridge is a tourist attraction located in Lake Havasu City and is enjoyed by residents of Canterbury Estates real estate as well as visitors. The bridge crosses a 930 foot, man-made canal that goes from Lake Havasu to Thompson Bay. The bridge was purchased from the city of London and shipped to the U.S. where it was reassembled and opened in 1971. This is the second most visited tourist attraction within the state, second only to the Grand Canyon.